4WD is nowadays becoming a new standard on the upcoming cars, and in the same line Mahindra is also planning to carry out AWD version of Quanto very soon. 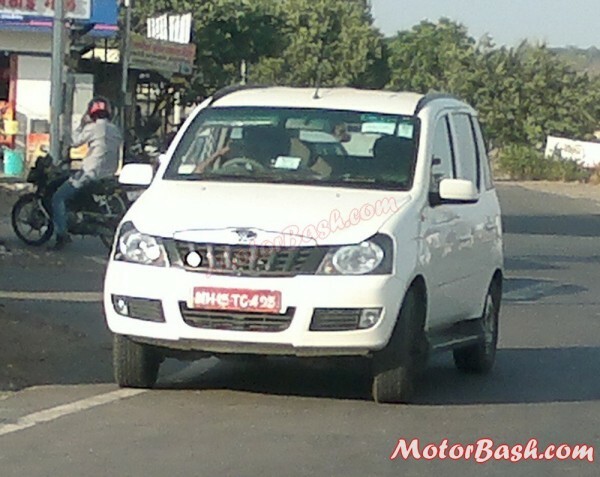 However, we aren’t confirmed about the launch dates yet but to assure you it ‘is’ on the way, hence Quanto 4×4 is spotted testing once again in Pune! Quanto is really doing well in the market, and is also the first sub 4 meter best selling UV on our local shores. Though the addition of AWD will add more charm to the already blue eyed bug of Mahindra, but on seeing spy shots one can say that, what has concluded the spied version to be an AWD? 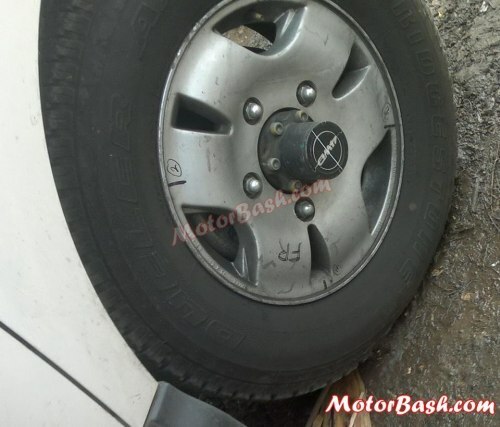 To an answer for the same, it was revealed via “4WD” sticker on alloys which told us the inside story. Most probably, got to know from the sources of industry that Quanto will not possess a permanent AWD system but a switch on the dashboard will pass on the traction to all wheels. Already Mahindra had rolled out Quanto in the avatar of mCR100 1,493 cc common rail diesel engine churning out 100 bhp and 240 Nm of peak torque, but the upcoming newbie may do with 2.2L mHawk diesel engine. The compact version of Xylo now carries 7 people at a time but we can say at the future AWD will be strictly restricted only to 5. However, it is still not sure that this spied Quanto will make way to our local shores, was heard that Mahindra too is preparing AWD of Xylo which is actually meant for the export markets. If still Mahindra may roll out this new bug on Indian terrains, then one is not needed to worry about price tags. The Indian carmaker will price it competitively for the fatter market shares, where the B segment sedan cars like Honda Amaze and Maruti Swift Dzire are cashing more aggressively in the respective price range.